Don't let the familiar face fool you. 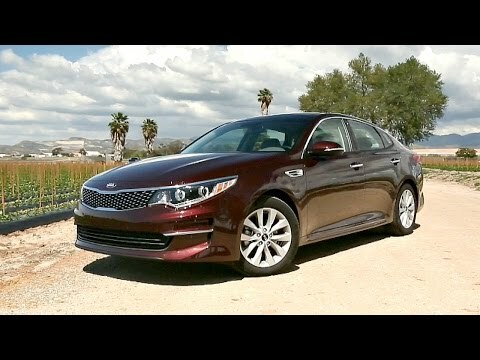 The 2016 Kia Optima is all-new, offering midsize-sedan shoppers better interior room, more features and some seriously upgraded driving dynamics. Kia even held the line on prices. About the only downside is the nearly identical exterior styling, which makes it hard to distinguish the old from this new, much better one. Try a Kia. There are several models from which to choose. The pros and cons of owning a kia optima. The kia optima is just okay. I do not necessarily love it but, I do not hate it either. It gets me from one destination to another. One thing that I do not like is the seat belt sensor in the passenger seat. It is very sensitive. When I put something in my seat that is very lightweight (something that should not make the seat belt "ding"), sometimes the seat belt sensor will not go off. Another issue that I have had with my kia is, my headlights have gone off while driving at night. My headlights were on in the automatic position. This is an issue that I reported and is something that I feel is very dangerous. My kia is a 4-cylinder, so performance is just okay. It has been reliable and it is comfortable. It comes with some pretty nice features depending on the model you buy. My Kia is a very reasonably priced car for all the features it has. I have owned my 2016 Kia optima for 10 months after driving a 2000 Pontiac grand prix. My Kia has a super smooth ride and handles nicely. I especially love the rear camera, which really helps when backing out of tight parking spaces. I was also impressed by all of the electronic features this car has; especially after driving a 10 year old car. One of my tires was a bit low, because of driving over a nail and the system promptly alerted me to this fact and gave me a reading of the tire pressure in each tire. The check engine light did come on a month ago due to a recall. The Kia dealership got my car in promptly and offered a driver to take me to work and pick me up.